Vatican City, Oct 16, 2018 / 04:30 pm (CNA).- Young people should look to the “saints of our times,” as models of holiness, Archbishop José Gomez told the Synod of Bishops on Tuesday. The Archbishop of Los Angeles highlighted the example of the seven recently canonized saints in his speech to the assembly. 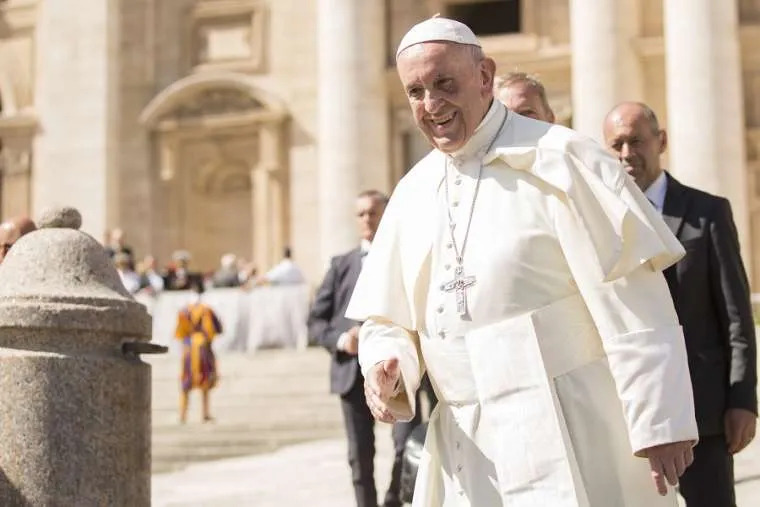 Rome, Italy, Apr 15, 2018 / 10:28 am (CNA/EWTN News).- On Sunday Pope Francis visited a Roman parish, telling Mass-goers to allow themselves to be moved by the immense joy of the resurrection, which overcomes sin and renews believers, allowing them to have a youthful heart. 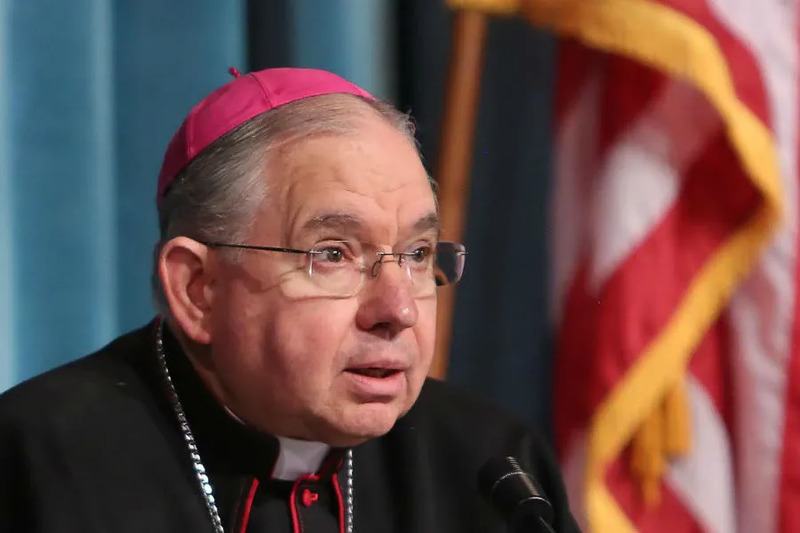 He said the same thing happens to each person when they receive news that seems too good to be true, and urged Catholics to allow the joy of Christ’s resurrection to enter their hearts and to be transformed by the renewal he offers. Pope Francis spoke during his April 15 visit to the parish of St. Paul of the Cross in the western quarter of Rome. After arriving around 4 p.m. local time, he was greeted by the Vicar of Rome, Archbishop Angelo de Donatis; Bishop Paolo Selvadagi, auxiliary bishop for Rome’s western sector, and the pastor Fr. Roberto Cassano, among others. 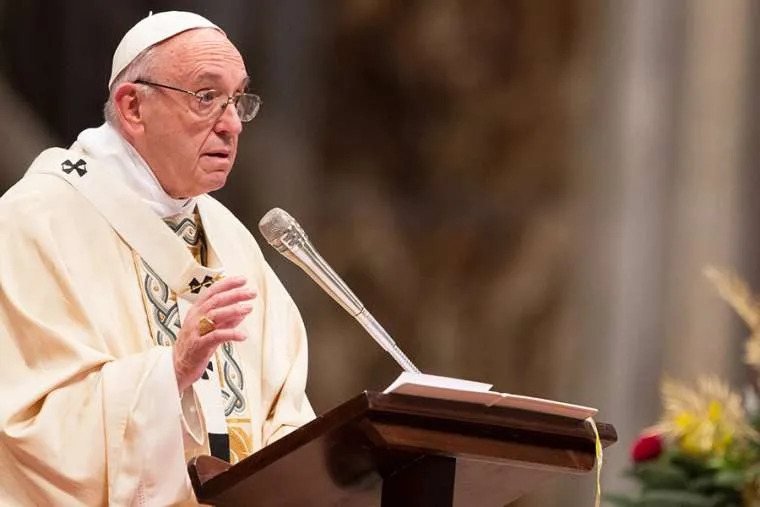 In his homily, which focused on the day’s Gospel reading from Luke in which Jesus appears to the disciples after his resurrection, Francis noted that even though they doubted, the disciples knew Jesus had risen. If a person does not believe that Christ is risen and present in the world, “we will never be a good Christian, we can’t be,” he said, and prayed for the grace to encounter the Risen Jesus in prayer, the Eucharist and the forgiveness of sins. When asked about how he felt after being elected pope, Francis said he didn’t feel anything special, but he had a strong sense of peace. “When the Lord calls you, he gives you peace, and you feel it when there is a true call from the Lord,” he said, explaining that this is also true when God calls one to a consecrated vocation. Finally, the pope embraced a young boy named Manuele whose father recently died, and who was an atheist, but allowed each of his four children to be baptized in the Catholic Church. In his question, Manuele said his father was a good person, and asked if he was in heaven, even if he didn’t believe in God. Pope Francis answered by praising Manuele’s courage to cry and to ask the question, and said that if a man can raise a child the way that Manuele’s father had, then this man is indeed a good person, and good people are never far from God. 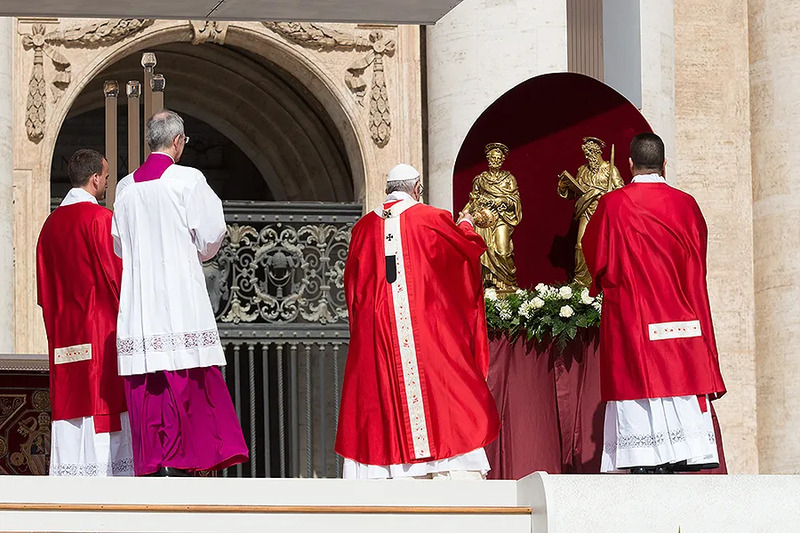 Vatican City, Jun 29, 2017 / 12:16 pm (CNA/EWTN News).- Saints Peter and Paul are pillars of the Church and a reminder that God is with us always, Pope Francis said Thursday in St. Peter’s Square. “The Fathers of the Church liked to compare the holy apostles Peter and Paul to two columns, on which the visible building of the Church rests. 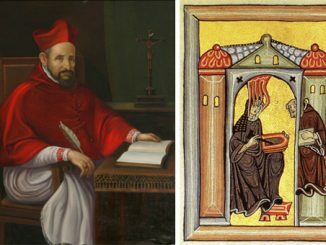 Both sealed with their own blood their testimony to Christ of preaching and service to the nascent Christian community,” he stated during his June 29 Angelus address on the saints’ feast. They both, through “their personal and ecclesial stories, demonstrate and say to us, today, that the Lord is always at our side, walking with us, never abandoning us,” said Pope Francis. Pope Francis concluded his address by praying for Rome, the city of the martyrdom of both Saints Peter and Paul. Vatican City, Feb 10, 2018 / 10:22 am (CNA/EWTN News).- In an off-the-cuff speech Saturday, Pope Francis told members of the Stigmatine Fathers that in community life, fraternity is a grace which requires concrete prayer for each other, and that to hold onto resentment after arguments is a sin. “The life of community, the life of fraternity, is difficult because there are human problems, jealousies, competitiveness, misunderstandings… Fraternity is a grace, and if there is no prayer, this grace does not come,” the Pope said Feb. 10. Pope Francis spoke to about 40 participants in the General Chapter of the Congregation of the Sacred Stigmata of Our Lord Jesus Christ, commonly called “Stigmatine Fathers.” The Pope opted to speak off-the-cuff, so copies of his prepared speech were instead handed out to participants after the audience. Besides fraternity, Francis also spoke about the “terrorism” of gossip, which he said is like throwing a bomb to destroy another from afar. To have a good community doesn’t mean everyone has to be close friends, but you must have respect and esteem for one another, and you must pray for one another, he said, inviting those present to make an examination of conscience on this issue. He also spoke about the wounds of Christ, especially the stigmata, which is found in the name of their order. As St. Bernard said, if you are depressed or if you have sinned, done this or that, “Go and take refuge in the wounds of the Lord,” the Pope said. He encouraged them not to be ashamed of their devotion to the wounds of Christ, because it is their path to sanctification, and they are called to teach anyone “plagued” by their sins to find comfort there. “A ‘wounded’ sinner finds forgiveness, peace and consolation only in the wounds of the Lord, not elsewhere,” he said. He noted that there is a good, holy kind of fire and a wrong kind, however. The wrong kind he said is that illustrated in the Gospel of Luke, when Jesus is on his way to Jerusalem, but sends messengers before him to a village of Samaritans, who did not want to welcome him. He encouraged them to announce the Gospel with meekness and joy like the founder of the Stigmatine Fathers, St. Gaspare Bertoni. “This is the style of evangelization of Jesus, our Master. He welcomed and approached everyone and conquered people with kindness, mercy, with the penetrating word of Truth,” he said.